This charming story about a penguin colony in Antarctica illustrates key truths about how deal with the issue of change: handle the challenge well and you can prosper greatly; handle it poorly and you put yourself at risk. A new system allows the traditional hierarchy to operate in concert with a companywide “strategy network” that holds the key to nimble change. As the world falls deeper into economic downturns and warfare, the question of credibility (how leaders gain and lose it) is more important than ever. 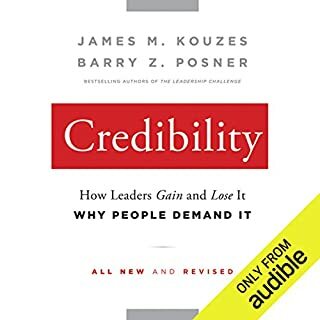 Building on their research from The Leadership Challenge, James Kouzes and Barry Posner explore in Credibility why leadership is above all a relationship, with credibility as the cornerstone, and why leaders must "Say what you mean and mean what you say." 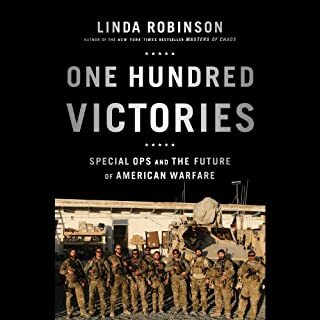 In One Hundred Victories, acclaimed military expert Linda Robinson shows how the special operations forces are - after a decade of intensive combat operations - evolving to become the go-to force for operations worldwide. Your Change Management Bible! Tools, tips, models, and methods for transitions and change management. Are you ready to learn all about change management? If so, you've come to the right place. Everyone wants to be an influencer. We all want to learn how to help ourselves and others change behavior. And yet, in spite of the fact that we routinely attempt to do everything from lose weight to improve quality at work, few of us have more than one or two ideas about how to exert influence. 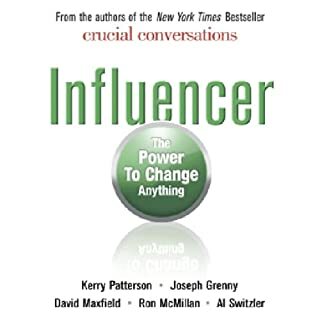 For the first time, Influencer brings together the breakthrough strategies of contemporary influence masters. 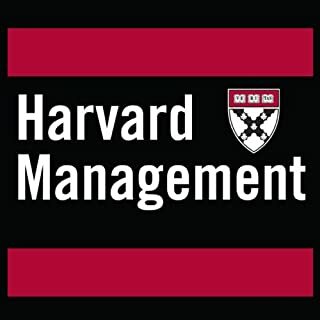 Organizational Culture and Leadership is the classic reference for managers and students seeking a deeper understanding of the inter-relationship of organizational culture dynamics and leadership. 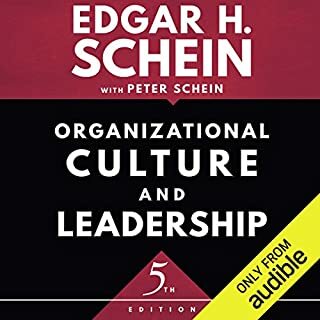 Author Edgar Schein is the 'father' of organizational culture, world-renowned for his expertise and research in the field; in this book, he analyzes and illustrates through cases the abstract concept of culture and shows its importance to the management of organizational change. You believe in a good idea. You know it could make a crucial difference for you, your organization, your community. You present it, hoping for enthusiastic support. Instead, you get confounding questions, inane comments, and verbal bullets. Before you know what’s hit you, your idea is dead, shot down. It doesn’t have to be this way, say John Kotter and Lorne Whitehead. In Buy-In, they reveal how to protect good ideas and win the support needed to deliver valuable results. 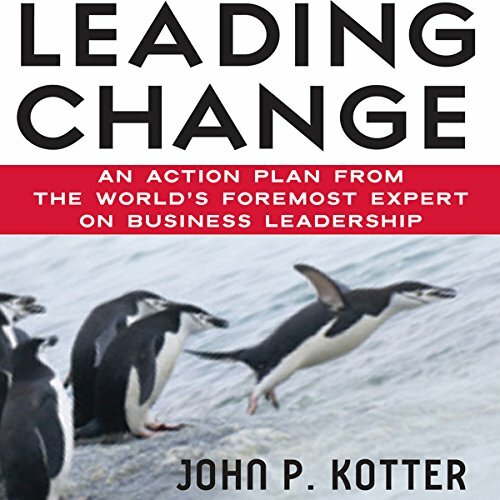 John Kotter, the world's foremost expert on business leadership, distills 25 years of experience into Leading Change. 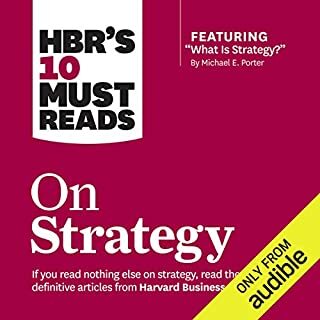 A must-have for any organization, this visionary and very personal audiobook is at once inspiring, clear-headed, and filled with important implications for the future. The pressures on organizations to change will only increase over the next decades. Yet the methods managers have used to strengthen their companies—total quality management, reengineering, right sizing, restructuring, cultural change, and turnarounds—routinely fall short. 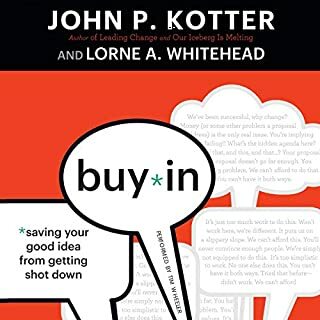 In Leading Change, Kotter identifies an eight-step process that every company must go through to achieve its goal, and shows where and how people—good people—often derail. Emphasizing again and again the critical need for leadership to make change happen, Leading Change provides unprecedented access to our generation's business master and a positive role model for leaders to emulate. 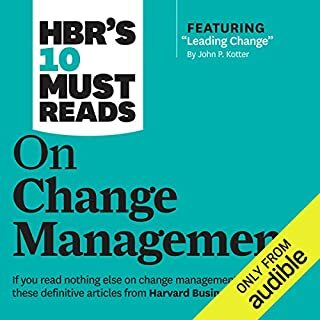 I used to think “changing culture” would be step 1 in managing change until I listened to this book but I was very wrong. Very informative book which is 100% accurate and has great examples. 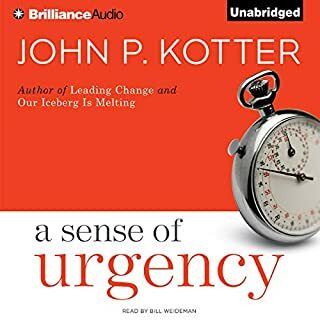 Must read for any business going through or needing to go through change, wanting to grow or experiencing a different market. This book truly changed my view of how I manage my business also guide me to the right path. The author opens this book with a discussion of the common errors people make in trying to implement organizational change. He then goes on to counteract those errors with his eight-stage process for implementing effective and sustainable change: 1) Establishing a sense of urgency; 2) Creating the guiding coalition; 3) Developing a vision and strategy; 4) Communicating the change vision; 5) Empowering a broad base of people to take action; 6) Generating short-term wins; 7) Consolidating gains and producing even more change; and 8) Institutionalizing new approaches into the culture. The first four stages are intended to defrost a hardened status quo, the next three introduce many new practices, and the final stage grounds the changes into the corporate culture and helps them stick. 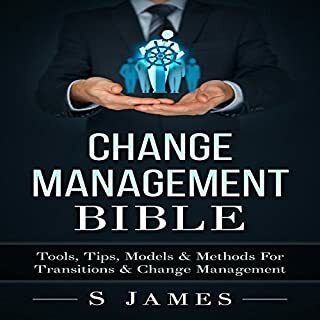 This book is a comprehensive approach to change management and highly recommended for anyone undertaking a major change effort within an organization. I'd read the hard copy of this several times and wanted to refamiliarise myself with the content before working with a client interstate. 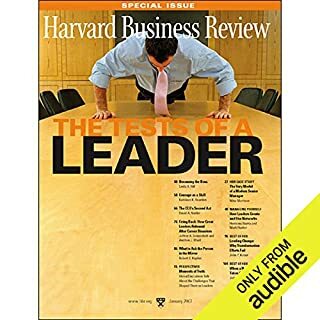 I listened to the audiobook on the 13-hour drive to the event and found it clear, engaging and easy to recall (although can't say if that would have been the case if I hadn't already been familiar with the material). This remains for me one of the benchmark texts on organisational change and I recommend it to anyone with an interest in that area. This needs to be read. I wish I had before taking the effort to implement change in a previous company. Steps 1 & 2 were not satisfied and all efforts by the few involved floundered when they met opposing, complacent forces. What made the experience of listening to Leading Change the most enjoyable? The engaging delivery of the narrator. He was easy to follow and made the listen enjoyable. What was one of the most memorable moments of Leading Change? Understanding the importance of changing cultures in the 21st Century. It is extremely relevant and to hear them speak of this from 1996, shows the vastly changing business environment most firms are challenged with today. The story telling comes to life. Story telling is key. Executives remember stories more than some data points. Great story telling in this book. Change is inevitable - learn to adapt! 25 year old ideas still very relevant today. You can see the roots of today's thinking. This book is rich in content. It requires deep focus to truly absorb the content. I found myself rewinding some areas to ensure I grasp the full intent of what was said. Now that I finished the book and have a greater understanding on the topic, I will listen to it again. Would you consider the audio edition of Leading Change to be better than the print version? 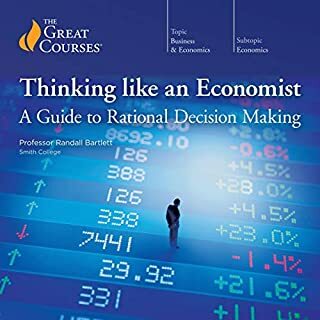 This has got to be one of the "must reads" of management books. 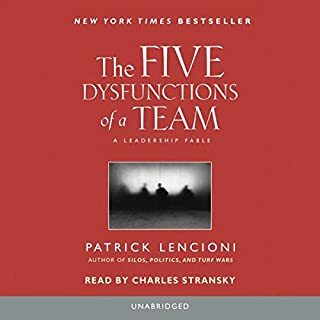 If you've ever tried to convince a group of people (in any setting or organization) to change the way they are doing something, if you've ever tried to introduce a new process, new tool or new way of working to your workplace, or if you've ever been in a situation where your team or company was in denial about loosing against the competition, this book is for you. 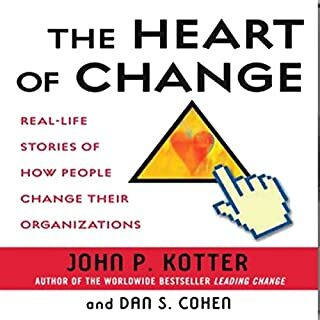 Kotter in this book outlines an 8 stage process for effecting change. At each stage, he explains why, if you miss this particular stage, your change effort is at risk. 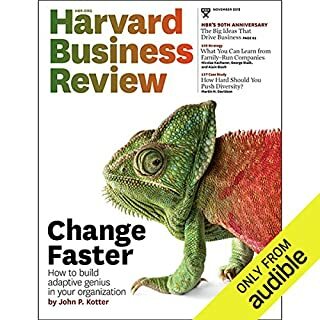 I've worked in several high tech companies for the past 25+ years, and even today I can see people trying to introduce change and missing the fundamental lessons of this book - and wonder why their change effort flounders. 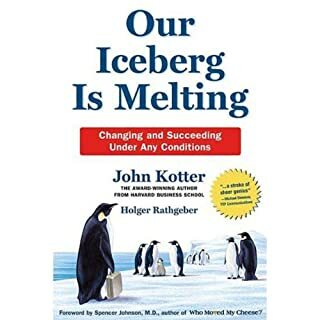 So save yourself some stress, if you are trying to change something at work, in your club or voluntary organization, read this book and apply the lessons! What did you like best about Leading Change? What did you like least? Some good ideas like the structured approach. Some titles a little confusing until they are explained. For example; developing a sense of urgency for something that is going to take 2 years is not what I call urgent. This actually is about linking the consequences of change to pay and rations or other things that will make people take notice and keep focus. It did get a bit boring and repetitive. This is often the norm for business books. Good idea repeated endless times. 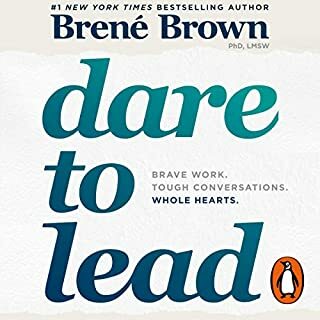 Do you think Leading Change needs a follow-up book? Why or why not? No. You flogged the subject enough already. 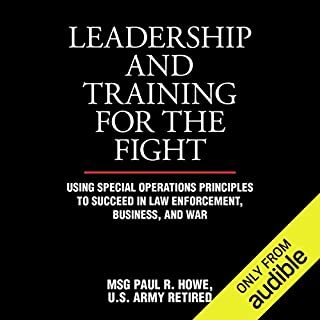 There’s much in this book to learn from and will likely get another listen. The voice is not as bad as some have said, I found it a bit goofy like but not distracting. End of chapter summary points are useful. The narrator had me engaged from the start. A very good book with lots to reflect on. Wish I'd read this 10 years ago! Excellent book, for beginners and beyond! Fascinatingly accurate assessment and lessons from all aspects of change, especially in large scale organisations.